← We have a web store! Anastasia will be at Bearings Craft Fair and Happy Hour from 10am-5pm. 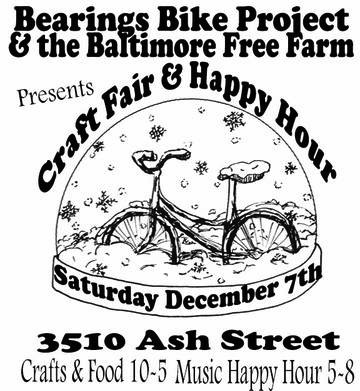 It’s at the Baltimore Free Farm in Baltimore in Hampden and we’ll be among other local crafters and bike enthusiasts. Our Limited Edition Bike Party T-Shirts will be for sale so definitely stop by and pick one up ! Hope to see you soon!